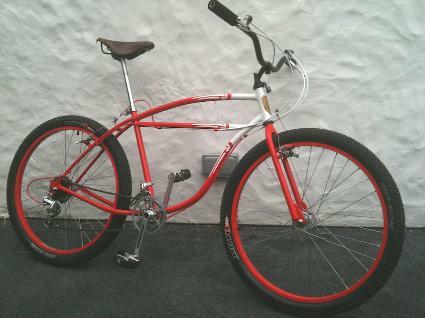 It turns out that I have an incurable affliction to all things bike. I have been to see a Clinical Psychologist about my bike problem and he said I should buy a new groupset. I expected this kind of prescription as he is also an avid bike fan as well! So I guess it looks like I am adicted for life. It all started when I was 10 and all my mates had BMX's and I had a 20" wheel racer. So i put mx bars on it and changed the brakes. hey presto a kind of hybrid. 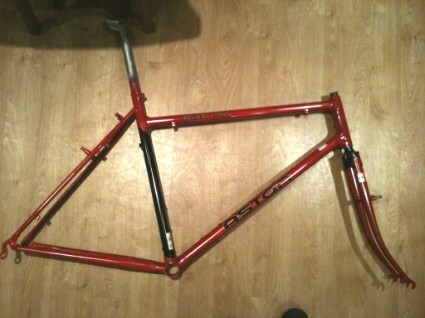 after that all things in my life were bike building. Since then I have raced on and off since 1988, including early MTB racing through to the Mega Avalanche last year. 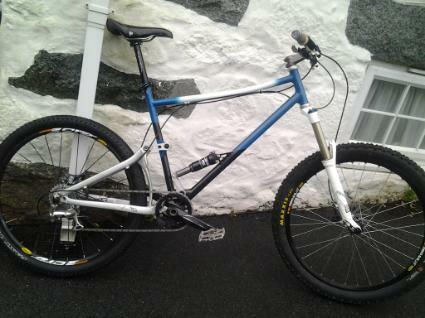 I have also owned an made an huge range of bikes over the years. 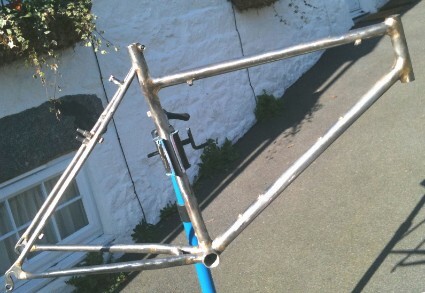 Thats when it dawned on me that I should really be making the lot, from the frame up. So this is where it all starts. 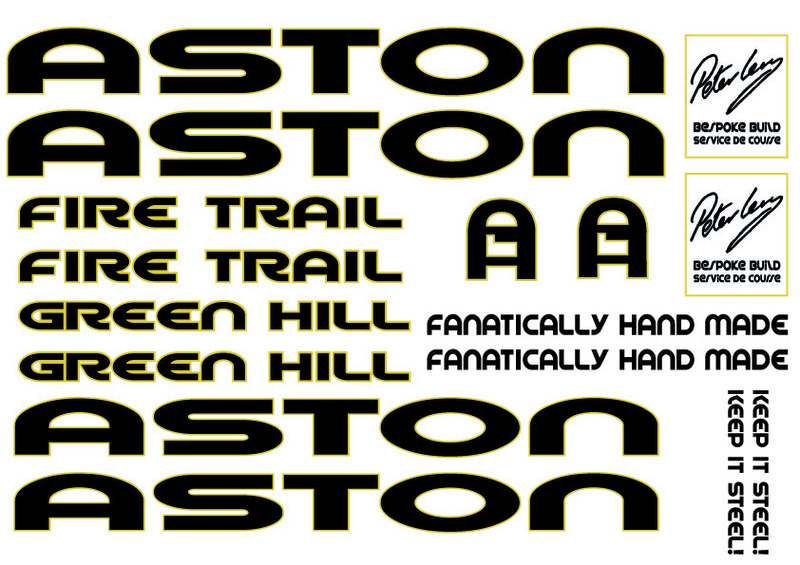 The "Aston" is named after where I used to ride back in the 1980's, Aston hill, wendover area. 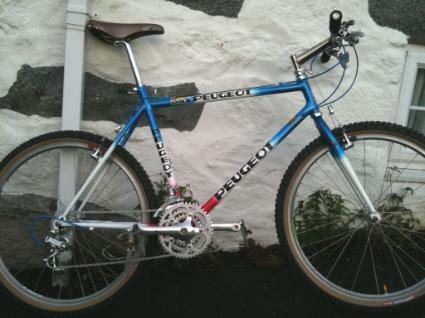 So I though what bike would I have had back in the day. 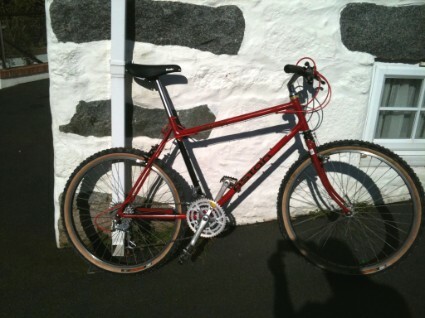 1" Head tube, rigid fork, seat stay u-brake, lugged bottom bracket and fillet brazed. 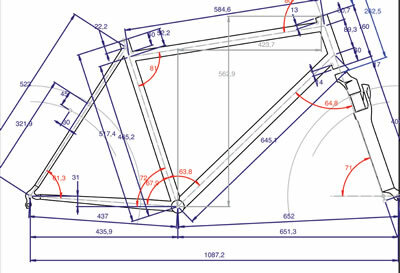 Its just hard designing to a bottom bracket with fixed angles.